If the old adage that time flies by when you’re having fun is true, then August must have been fun packed to the max because it has flown by so fast. That means it’s time to down tools and take stock, like Pip did. Reading: The Unofficial Guide to Disneyland 2016 – it’s a whole new world! Baking: This Date and Walnut Loaf with Maple Syrup, this 30 Second Jaffa Cake and this Apple Flapjack Crumble although technically the slow cooker baked the crumble, but let’s not split hairs! Cooking: Not much. We’ve been out and about so much, I’ve had almost no time in the kitchen. Of course, I made time to bake. Because I will always make time for cake. Always. Drinking: August 2016 will go down in history as the month of the cocktail. Our house guest Ria, doesn’t care for beer or wine but has a penchant for cocktails. 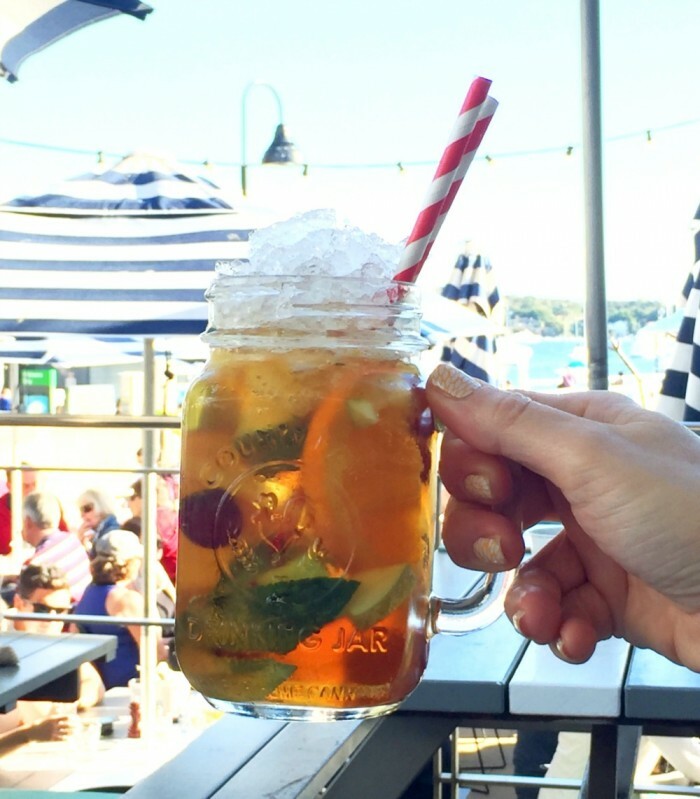 While in residence she stuck to her ACAD (A Cocktail A Day) diet religiously, this pimped up, five a day busting Pimms was from the Watsons Bay Boutique Hotel where the views and the people watching are as top notch as the cocktails. 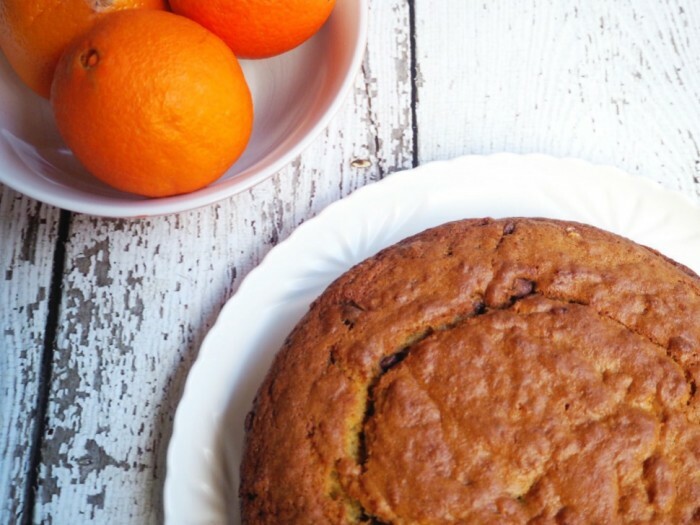 Dining: Here, there and everywhere. Our dinner at Avalon in Katoomba is my Meal of the Month though. Because… Licorice Cheesecake. Bookmarking: All the things to eat, see and do in Disneyland. And Toronto, Vancouver, Seattle and San Fran. Remembering: How much fun we had when Ria was in town. Come back Ria! 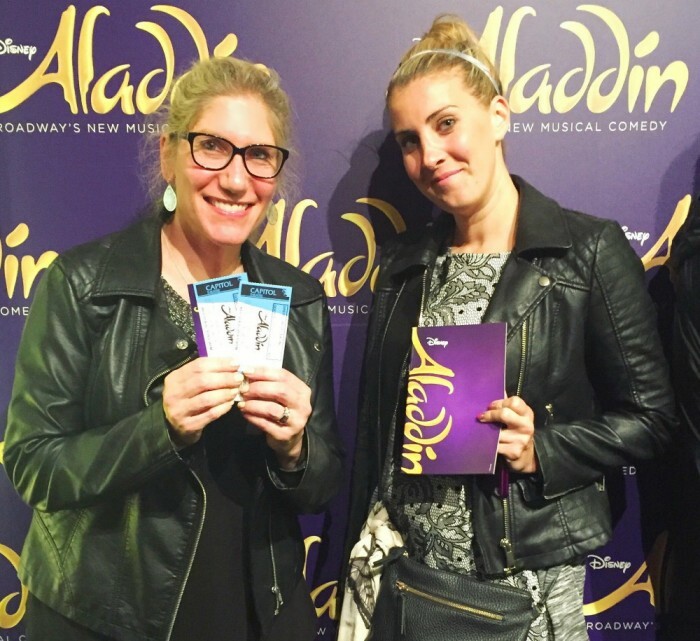 Seeing Aladdin was one of my personal highlights. Loving: Having visitors and being a tourist in my own town. Oh, the awe and wonder! Wishing: If I had my own personal genie in my own magic lamp, I’d wish my mum better and I’d also wish England was a bit nearer to Australia so I could bob over and give her a massive hug. Thinking: About packing. It’s my nemesis. That’s why I delegate all packing duties to David. Buying: Last minute holiday essentials – some noise reducing headphones (any recommendations?) and a new lens for my camera. Waiting: For holiday o’clock and counting sleeps like they’re going out of fashion. Admiring: All the women who have been part of the She’s So Inspiring series. They’ve all been special but all different. I’m more than a bit sad that the series is coming to a close. Marvelling: At the Olympic athletes. Each one of those athletes had a dream and they made it happen. I love the stories behind the athletes as much as the events themselves. 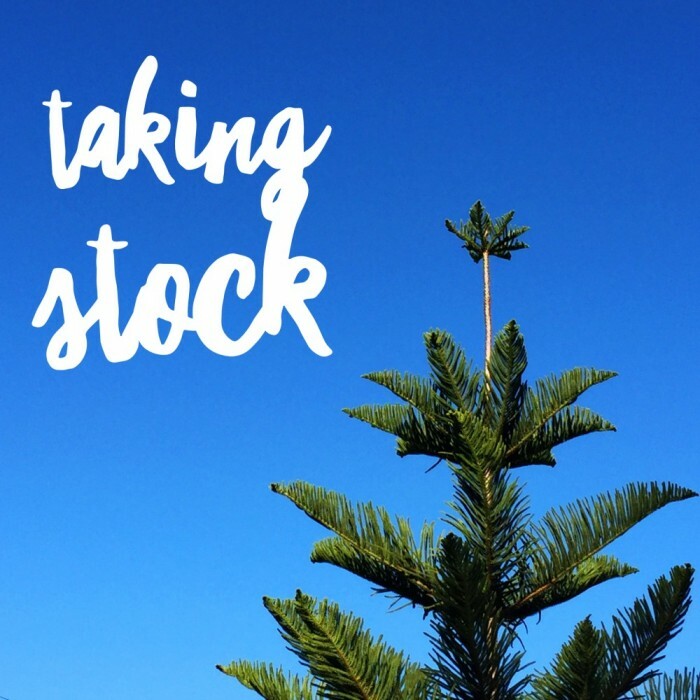 Enjoying: Holiday planning, even if it is totally last minute! Trying: To drink more water. A few months ago Pureau kindly sent me a hydration pack. Their water has no flouride, chlorine, bacteria or sodium and naturally, it tastes so good. Crazy as it sounds, other bottled or filtered water just doesn’t taste the same. I need to restock and stat! Snacking: After snacking most of the month on chips and raspberry licorice, I’m trying to abstain from snacking altogether… With limited success. Eating: Whatever is left in the freezer. Every night is a freezer surprise! 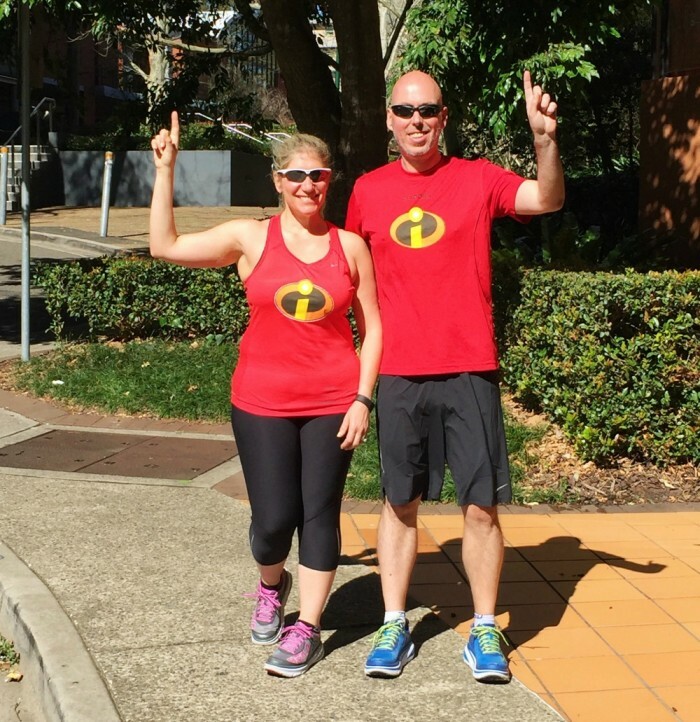 Wearing: Our half marathon outfits and giving them a run for their money! Talking about running and money, we’re training as hard as we’re fundraising. If you want to help us get over the fundraising finish line for the Stroke Foundation, bob on over to our fundraising page. We’re so close to hitting our target! Running: Rings around Sydney. Next stop: Disney! 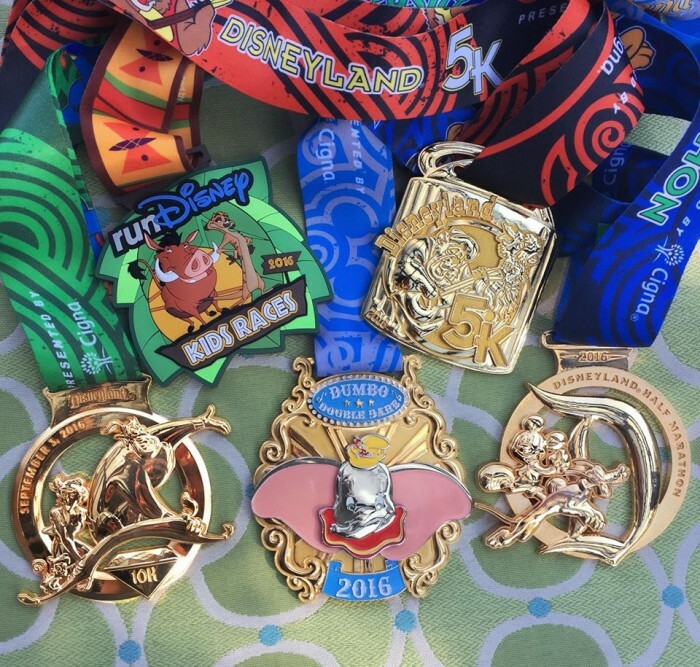 Coveting: All the medals – let’s bring home the bling! Hoping: David recovers fast. He pulled his groin on our last long training run and has since become best friends with the ice pack and the wheatie bag. Please send speedy healing vibes. Wondering: If David doesn’t recover, how long it takes to hobble a half marathon? I guess we’ll find out soon enough! Needing: To go to bed earlier. Watching: It was the Olympics. I’m now televisually bereft because there’s no Olympics and I already finished Orange is the New Black. Wah! What shall I watch now? Noticing: That spring is coming – yay! It’s far and away my favourite season. Knowing: That the thought of going on holiday is almost as good as going on holiday. Helping: Still being a once a month lunch lady at the ASRC. Looking forward to: Popping my Canada cherry. I see a lot of poutine in my future!